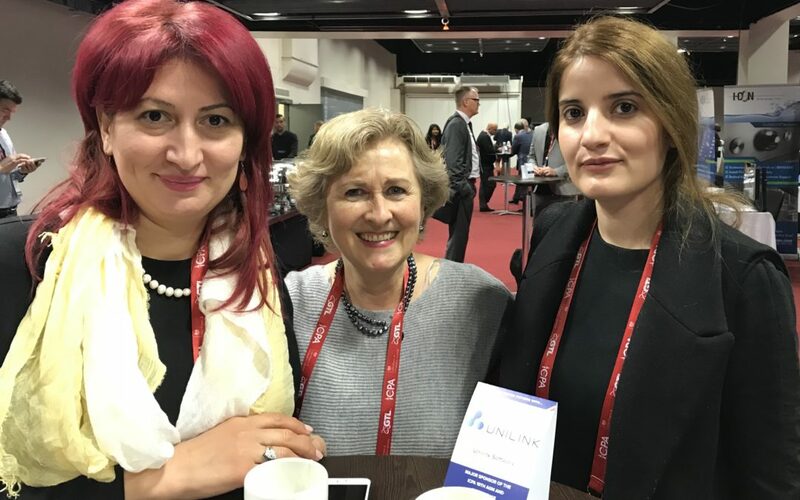 TPRF recently published this blog featuring the experiences of long term Peace Partners collaborator Mary Dalgleish and other Peace Education volunteers at the ICPA conference in London. Below is a copy of the blog published on TPRF's website. Mary Dalgleish is a volunteer with the Peace Education Program (PEP) in the UK. 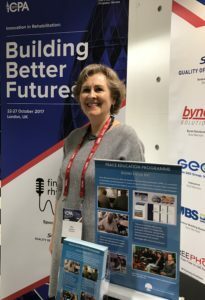 In this blog she writes about her experience presenting the program at the recent International Corrections and Prison’s Association conference in London. Founded in 1998, the mission of the International Corrections and Prison’s Association (ICPA) is to promote and share ethical and effective correctional practices to enhance public safety and healthier communities worldwide. This year the ICPA selected London for its annual conference, entitled “Innovation in Rehabilitation: Building Better Futures.” The conference was hosted by Her Majesty’s Prison and Probation Service, October 22-27, 2017.The ICPA conference was first brought to my attention in May by the UK charity Peace Partners, which offered to sponsor a PEP presentation there. PEP was implemented at a London prison in May 2015 and has been running continuously at the facility twice a week since then. It has also been successfully implemented in several other UK prisons. Education,” which I submitted to the ICPA’s selection team in June. The proposal was accepted as part of the agenda for October 23rd and I then started working on the presentation, with the help and advice of other PEP volunteers and The Prem Rawat Foundation (TPRF) PEP team. Tony and I got together to rehearse and prepare several times before the event.We arrived early on the 23rd and attended the opening ceremony and a couple of the morning sessions. 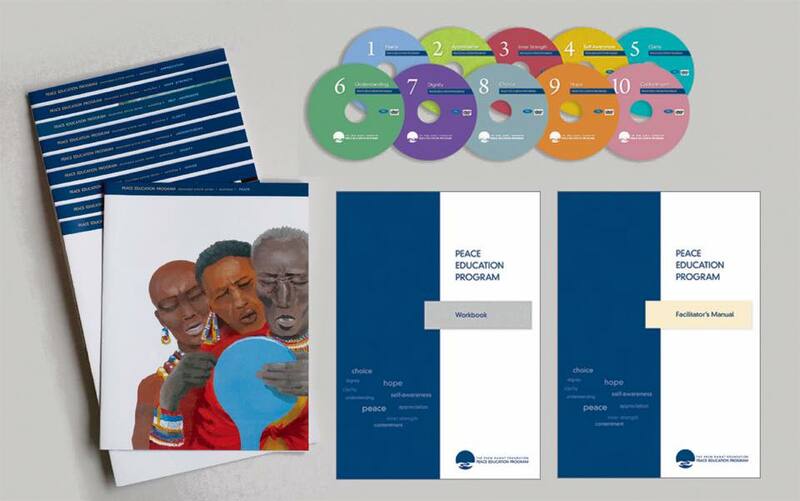 ​In an interview with Tony McLean, a volunteer facilitator for the Peace Education Program (PEP) at Thameside Prison in London, the impact of PEP on transforming the lives of participants is discussed. He goes on to add that out of the 140 participants, only 4, less than 3%, didn’t complete the course. Read the complete story of PEP at Thameside here. TPRF has posted an article on it's recent event in June 2016 which it co-hosted with partner the Tutu Foundation. "A groundbreaking forum on such timely topics as criminal justice reform, peace education and breaking the cycle of crime was convened at the British Film Institute last week, following the UK premiere of the multi-award-winning documentary film Inside Peace. Led by Lord Tom McNally, Chair, Youth Justice Board and Liberal Democrat member of the House of Lords, and Peter Clarke, Her Majesty’s Chief Inspector of Prisons and former head of the anti-terrorist branch at New Scotland Yard, the panel included some of the leading voices in law enforcement, probation, maximum security prisons and the criminal justice systems in the UK and in South Africa. The Prem Rawat Foundation (TPRF) and the Tutu Foundation UK co-hosted the event, which was emceed by Paul Bloomfield, attorney and governor of the Sir John Cass Foundation..."
You can read the rest and learn more plus view the video of the forum here. Cathy (facilitator) outside the centre..
“I have been dreaming all my life. I now want neither, they have not fulfilled me. that will transcend happiness and un-happiness. This was a reflection from one of the participants at the recent Peace Education Programme in Cheltenham. What draws TPRF volunteer Becky Resnick to Rwanda is that despite such a deep and pervasive trauma suffered in the horrific genocide of 1994, every person she has met expresses a strong sense of hope and healing. New Peace Education Classes started in East Croydon! Celebrate Life Events is promoting new Peace Education classes in East Croydon. This is based on TPRF's innovative 10 week course. Enrolment on this potentially life changing course is free of charge and there is an easy to fill in application form on their website. One of the prisoners was deeply touched by this session and inspired to write the following poem, which he gave me permission to freely share. He wants to be part of our team of facilitators so we hope that he can do that in the New Year. The Peace Education Program (PEP) is making a difference at HMP Thameside. As Michael Gove is looking to transform the criminal justice debate in Britain, just as Right-wing politicians have done in America, this could be a good time for PEP to expand its' work throughout the UK.